Celebrate with Us on Our 25th Anniversary! When SAFE Haven for Cats officially launched in 1994, it took up less than 500 square feet – the size of founder Pam Miller’s garage. Inspired by the no-kill movement and hooked on the satisfaction of finding homes for her neighbor’s 23 kitties, she filled her garage with cat cages and turned it into the first SAFE Haven shelter. 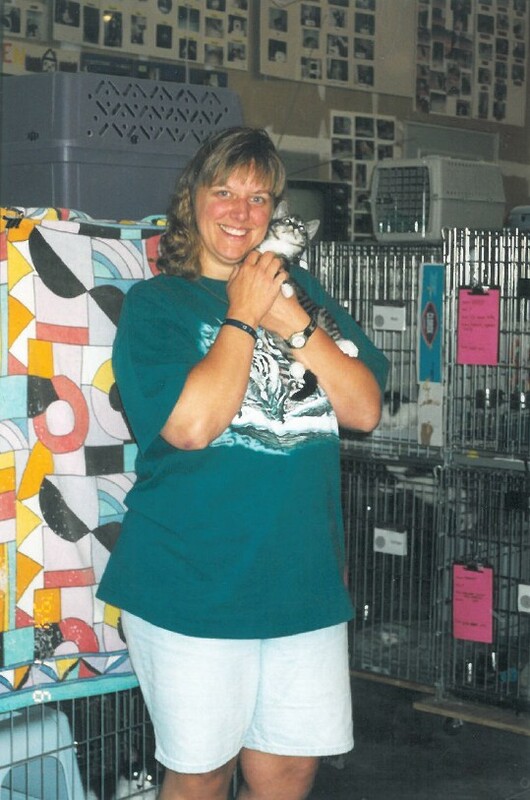 Pam made rescuing cats her mission and that persistence has paid off – we’re turning 25 years old! 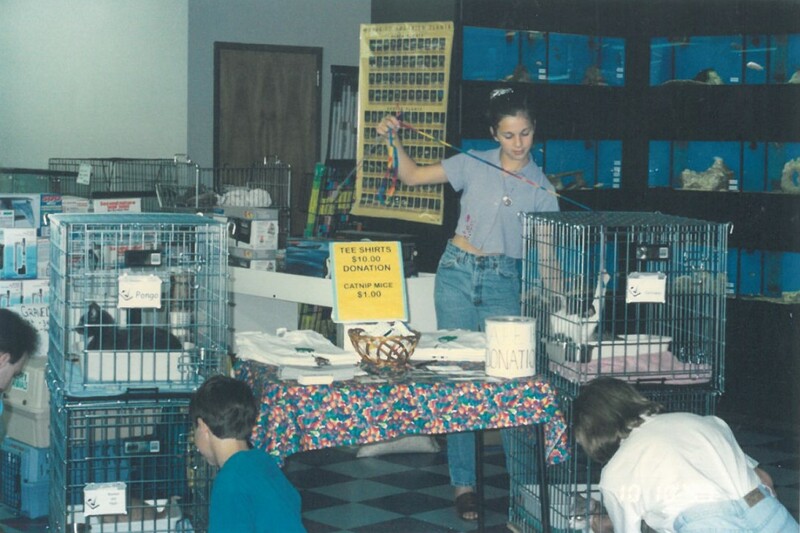 All year long, we’ll be celebrating our 25th Anniversary with special events and new ways for you to celebrate the kitties we all love so much. Watch our social channels and eNewletter for details. Since we began, we have found homes for more than 10,000 cats and fixed 30,000 feline with our low-cost spay/neuter services. That’s 40,000 feline lives changed with your help. YOU are the secret to our success. 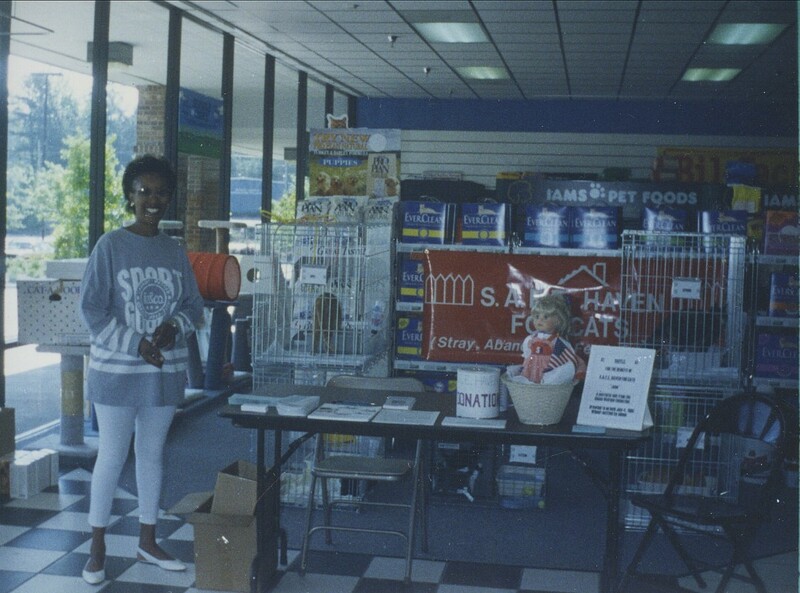 Volunteers support us in every part of the organization: from cleaning cages to presenting educational programs about caring for cats, from working with our website to fostering cats to help them get ready for their new lives in their forever homes. In 2017-2018, the estimated value of our volunteers’ donated time was $255,000. That’s money saved that can go back into shelter and clinic operations. 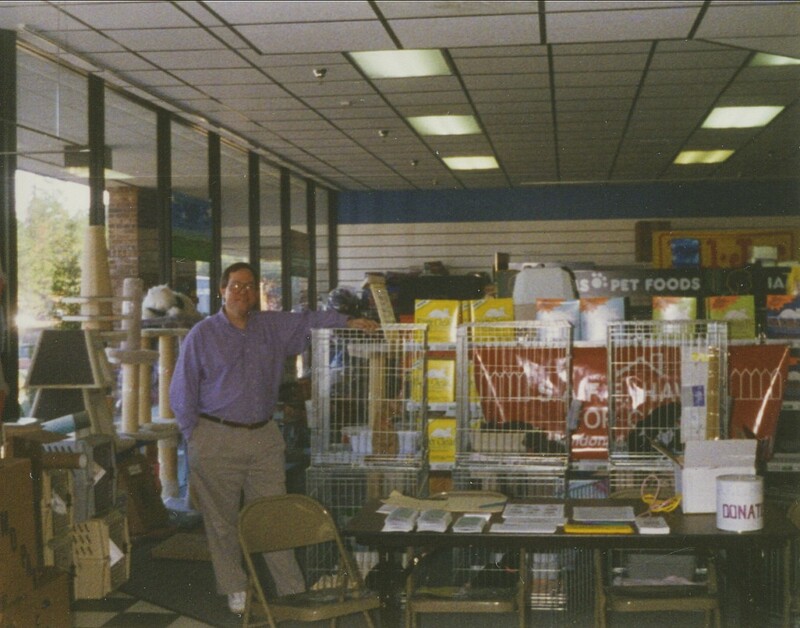 Food donations to our programs like the Pet Food Pantry have meant that we’ve fed hundreds of cats and dogs, keeping families and pets together through difficult times. That means fewer animals taken to shelters when their owners can’t feed them because of financial difficulties. Monetary donations in 2017-2018 came to just over 6,400 individual gifts and helped us reach our financial goals. 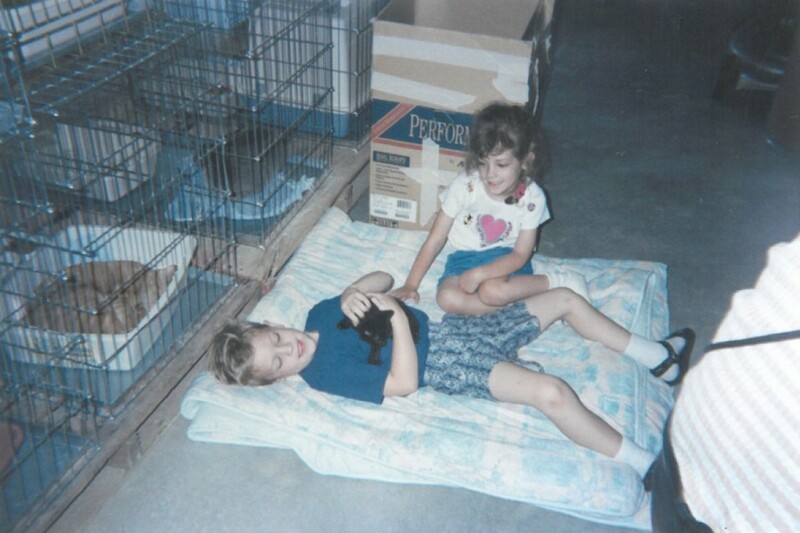 That meant we could focus on rescuing cats and matching them with the right family. 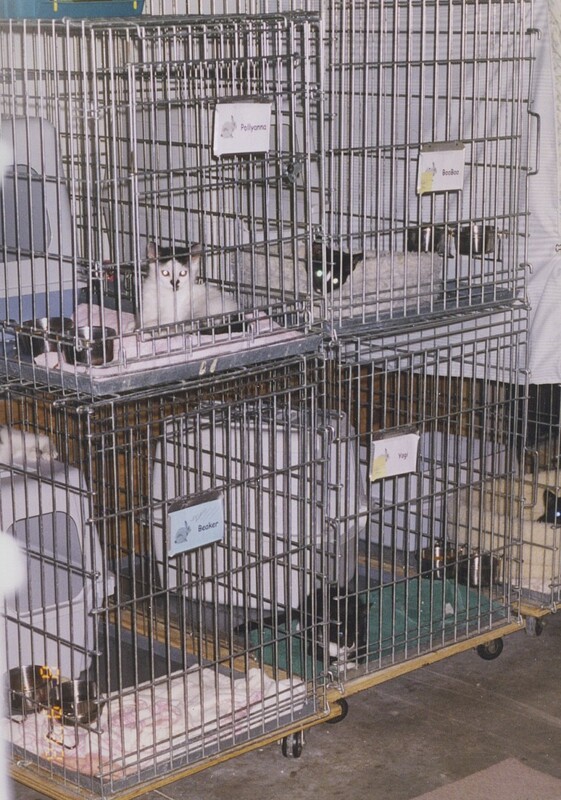 It meant we could provide low-cost spay and neuter surgeries as well as microchips and rabies vaccines to reduce feline overpopulation and promote cat health. 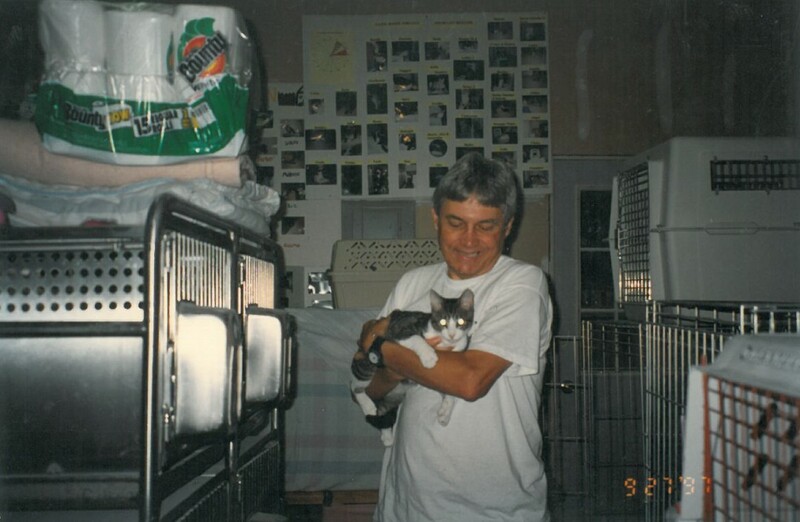 To our adopters, supporters, our volunteers, our partners: thank you for taking this journey with us over the last 25 years and making a difference in these cats’, and our own, lives. We are grateful to have found such a caring community of cat lovers. 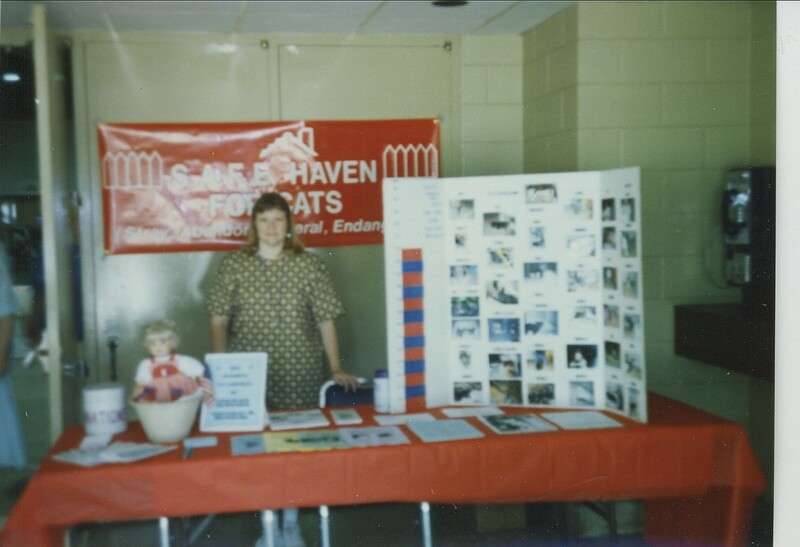 If you haven’t been a part of the SAFE Haven community during the last 25 years, we invite you to be a part of our next 25. Whether your contribution is time or money, supplies or encouragement, you can help us save 40,000 more cats over the next two decades. 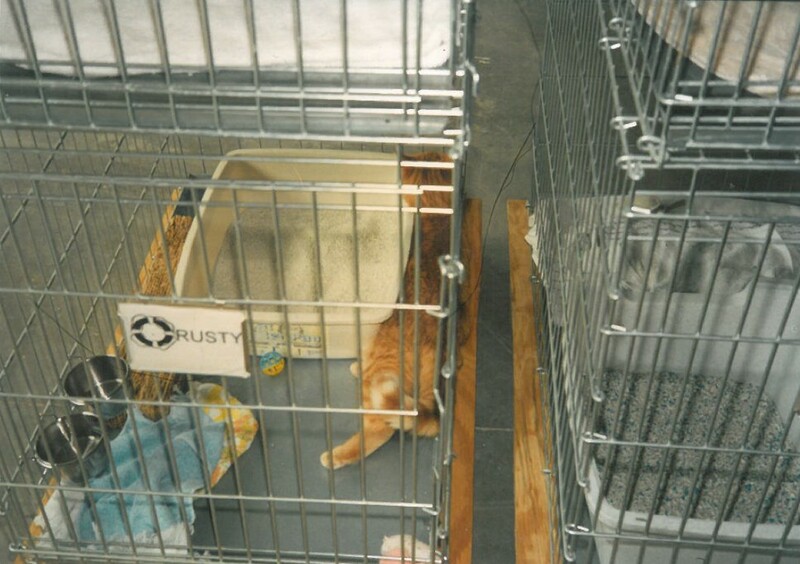 You can change the fates of thousands of cats in your community. Click here to find out how you can join us: Volunteer or Donate. Join the 25th Anniversary Cat Tales Facebook Group to share, comment, and post your stories on Facebook. Pam Miller is a native of Ohio but has lived in Raleigh for over 35 years. 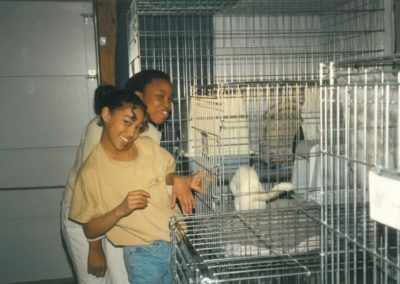 At an early age Pam was drawn to nature and animals. 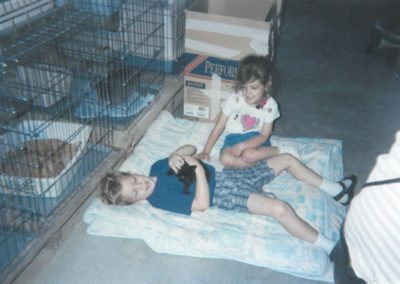 Never without a dog or cat (or both) growing up, she developed a passion for helping stray animals. 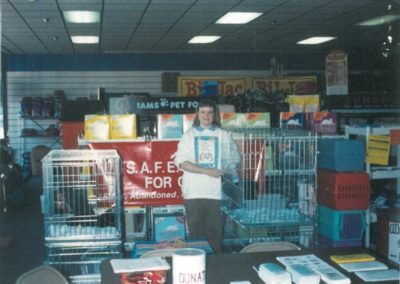 In 1991 Pam read a book that changed her life and ultimately the lives of thousands of stray cats and kittens. The book is Save the Animals – 101 Easy Things You Can Do by Ingrid Newkirk, National Director of People for the Ethical Treatment of Animals. 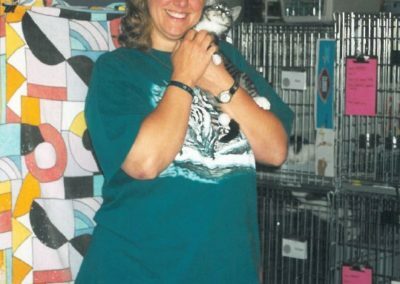 Pam is a life-long animal owner (cats AND dogs!) and animal lover. “I was at this time, however, unaware of the inherent cruelty in factory farming, animal testing, puppy mill breeding and in entertainment. Further, I began to understand that animal shelters in America and in our own community were euthanizing millions of healthy adoptable animals every year,” she said. Pam then did two things immediately. 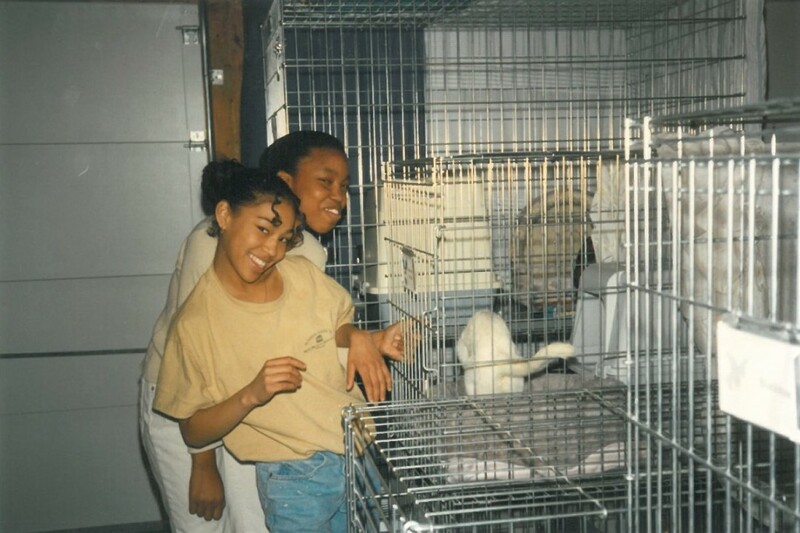 Overnight she became a vegetarian (and still is), and she began researching and visiting No Kill animal shelters around the United States to learn more about the blossoming No Kill movement. Several years in the hotel business and a stint managing arts organizations preceded Pam’s huge “leap of faith”. 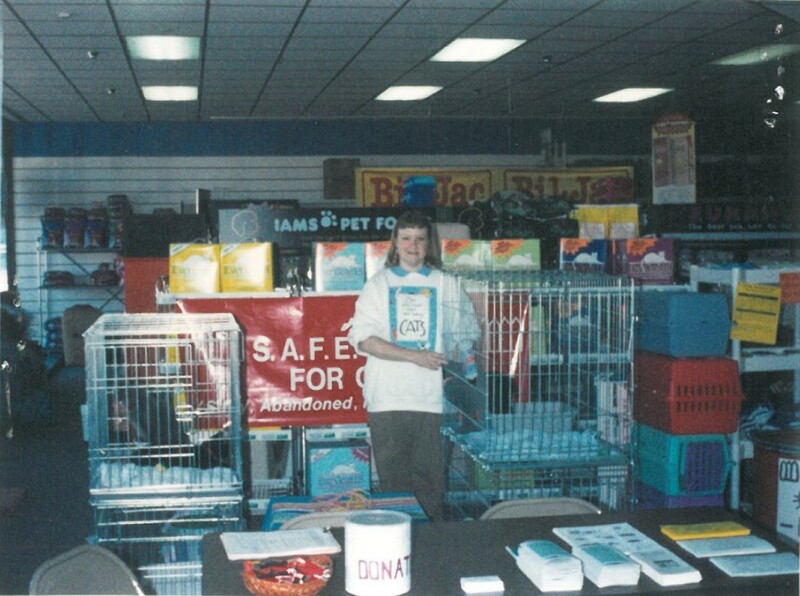 In 1992, Pam assisted a neighbor and that started everything. 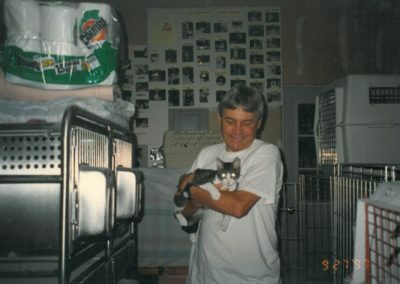 The lady had started with two cats that had bred and now she had 23 cats and kittens. 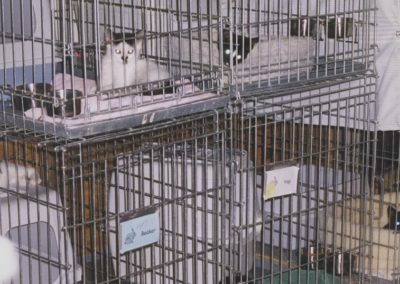 Over the course of the next year, Pam and her family, caught all the cats, got them complete medical care (out of their own pockets) and adopted them to new homes. It was pretty scary to sign a five year lease. My husband at the time and I put up our home as collateral! But our fears were unnecessary. Within a short time we had so many volunteers willing to help us it was unbelievable. 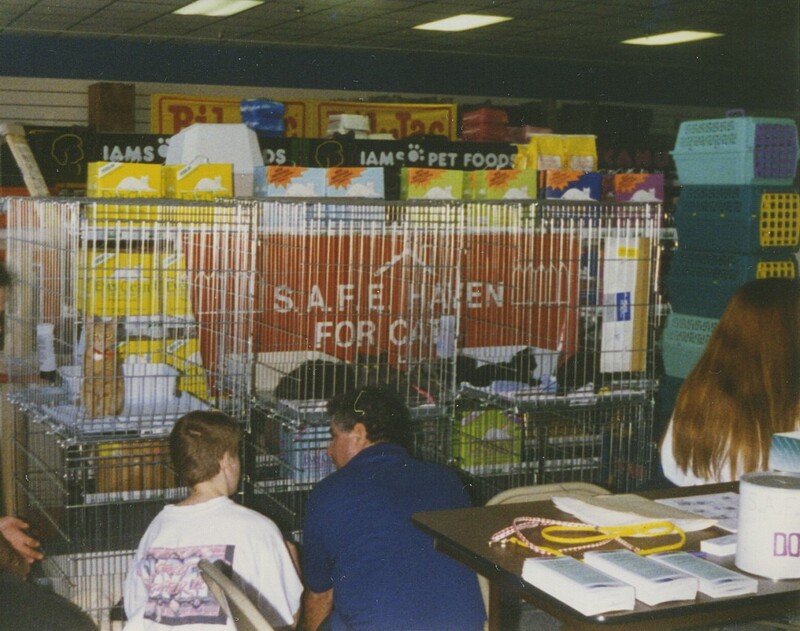 To this day SAFE Haven has a huge contingent of volunteers (around 10, every day of the year). We estimate they save us over $200,000 in staff salaries per year. 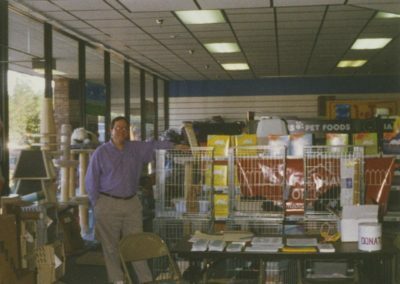 From that first 1,800 square feet of space SAFE Haven has expanded several times. 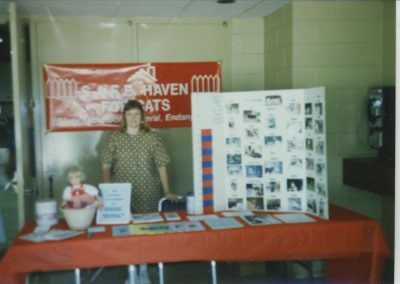 Thanks to the dedication of Dr. Betsy King, a founding member of SAFE Haven, the SAFE Care Spay/Neuter Clinic was established in 2001, capping another dream. 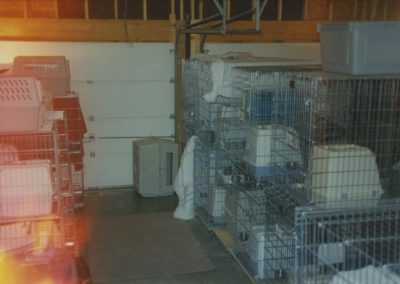 “We can build bigger and bigger shelters but to get to the root cause of over population and pet euthanasia we need to make sterilization available to everyone a as low a cost as possible.” Since 2001 the Clinic has sterilized over 30,000 cats and small dogs. 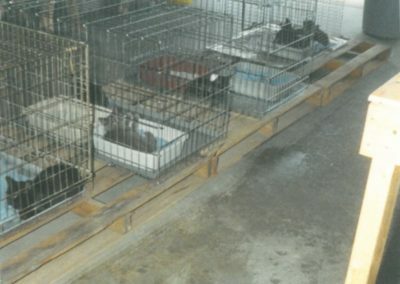 On the not so happy side, SAFE Haven is called on frequently to assist Animal Control and Law Enforcement with animal hoarders. Nobody starts out to be an animal hoarder. They always start out wanting to save the animals lives. But somewhere along the line nobody else is “good enough” to take care of the animals. When there is no procedure or method to get the cats adopted some people get trapped. That is when we come in and take the cats to SAFE Haven where we get them all the care they deserve. 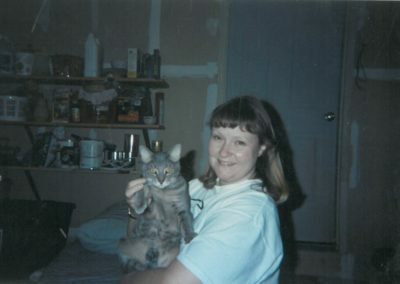 We have adopted out many, many “hoarded” cats over the years. 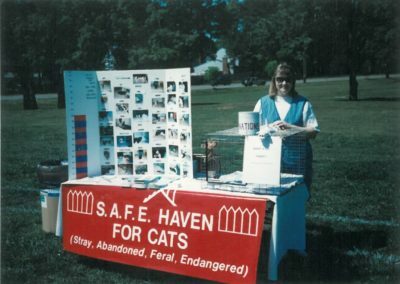 In 2012, SAFE Haven was part of a coalition of animal groups that helped change the Wake County Animal Control Ordinance to curb the population of community cats in the area. The ordinance change made it possible to stop the “vacuum effect” in many colonies, reduce the number of births and provide needed Rabies vaccines to all these cats. In 2014 SAFE Haven also partnered with Operation Catnip to provide space for their monthly “community cat spay days”. This will result in 600 more cats every year not having kittens. 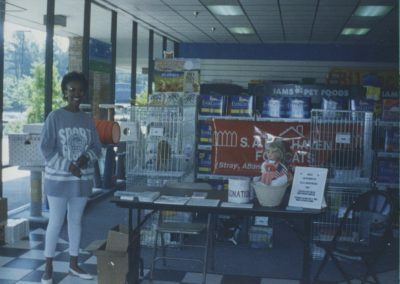 Another program, begun in 2012 is the Pet Food Pantry at SAFE Haven which provides free food to 60 dogs and cats in our community every day. The purpose of this program is to keep people from having to make the heart wrenching decision to give up their pet or even forego feeding themselves. Hundreds of dogs and cats are also helped at our twice yearly $5 rabies vaccine clinics. SAFE Haven was honored to be asked to be the only cat group at a first ever adoption event in the fall of 2015 at the Governor’s Mansion. 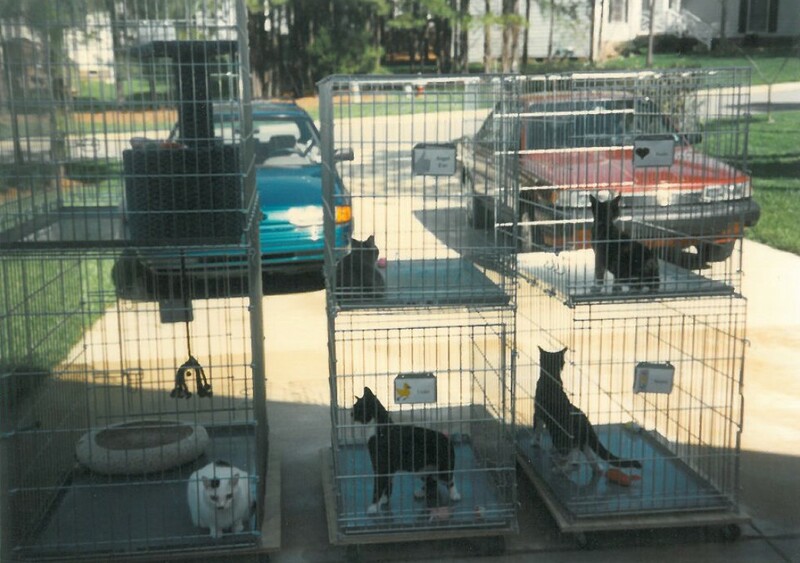 Governor McCrory and his wife Ann, hosted this event to bring attention to animal homelessness. In 2016, SAFE Haven was asked by WRAL to participate in a national adoption day – Clear the Shelters. Only the top shelters in the U.S. are asked to be partners. 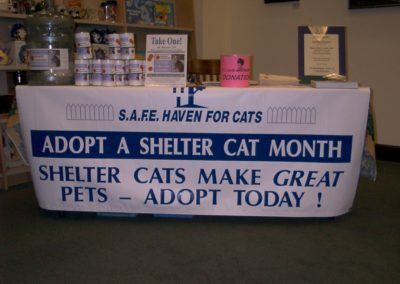 SAFE Haven hit a one-day high that day, adopting 64 cats in 8 hours! The SAFE Care Clinic, now under the leadership of Dr. Jennifer Bledsoe-Nix, has received many important grants in the last several years. These have allowed us to sterilize many cats and kittens who would have otherwise reproduced. Through promotions such as “No Nut November”, “Drop the Balls” and “Not a Mother’s Day” hundreds have been sterilized. 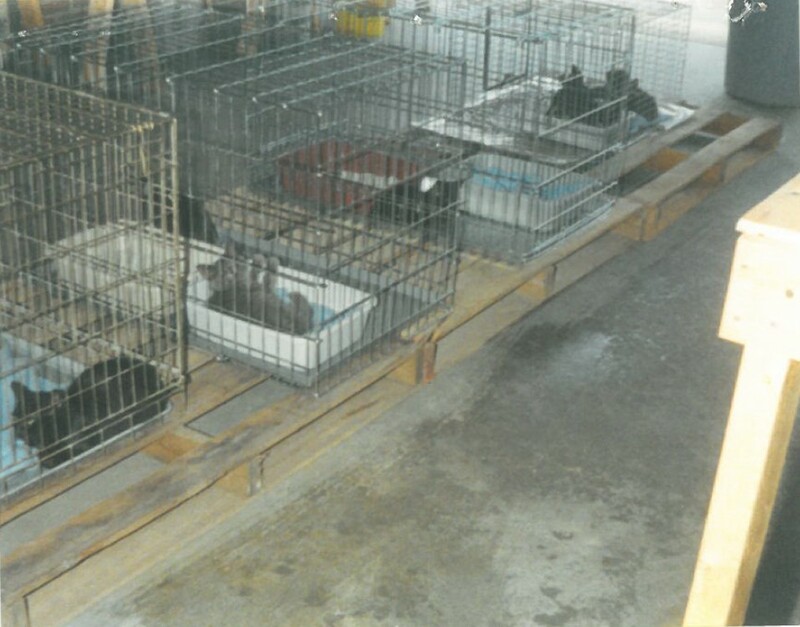 A huge project was completed in Zebulon, where 840 cats were sterilized in 24 months. 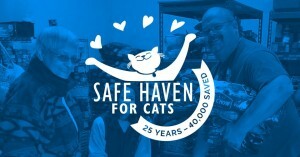 SAFE Haven has partnered with the Humane Society of the U.S. and in 2018 took 47 cats from the hurricanes in Florida and Puerto Rico. 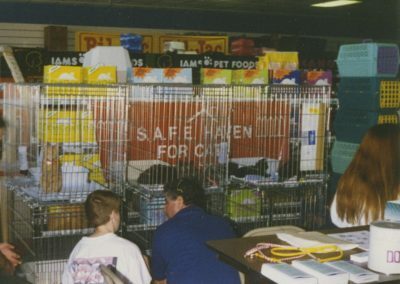 From adopting that first cat from Pam’s garage in 1994 (her name was Abigail and she was a grey short haired kitty adopted by a minister and his family) to today, 10,000 cats later, SAFE Haven has kept looking to the future when there will be no more homeless cats. What is on the horizon for SAFE Haven? 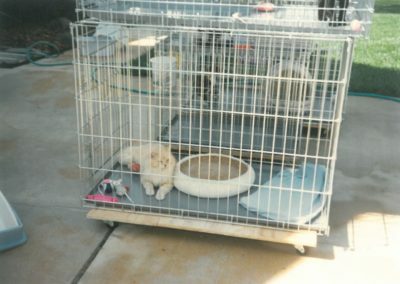 Hopefully, in the near future a better equipped and ventilated facility where the adoption program and the clinic can be under one roof and can help more people and animals. But still a place for animal loving people to come together to fulfill the vision of a No Kill community where all cats have a home. When that is done, SAFE Haven can go out of business.